A lot of people in Lebanon heard about TEDxBeirut but don’t really know what it is about and some others didn’t even hear about it. Therefore, dear readers, I conducted an interview with Mrs. Patricia Zougheib, TEDxBeirut Curator, to get all you need to know about TEDxBeirut ! 1- What is TEDx ? 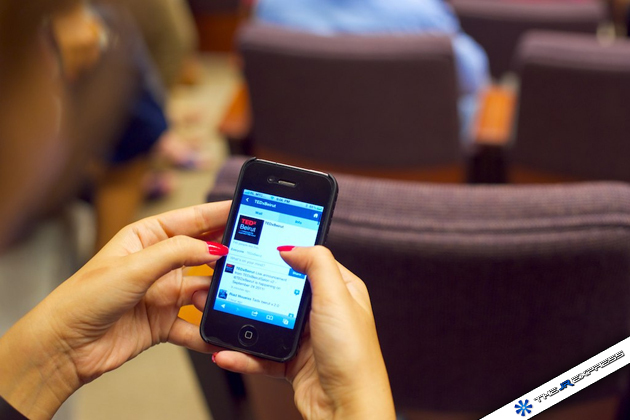 TEDxBeirut is a full-day conference held at the Berytech Technological Pole on the 24th of September. TEDxBeirut will present around 20 live speakers; curated from thought leaders in the Middle East and abroad, as well as grassroots speakers sharing their inspiring stories. 2- How did it all start in Beirut ? When i watched my first TED talk, the unforgettable “Jill Bolte Taylor’s stroke of insight”, i thought that it was too good not to be shared. 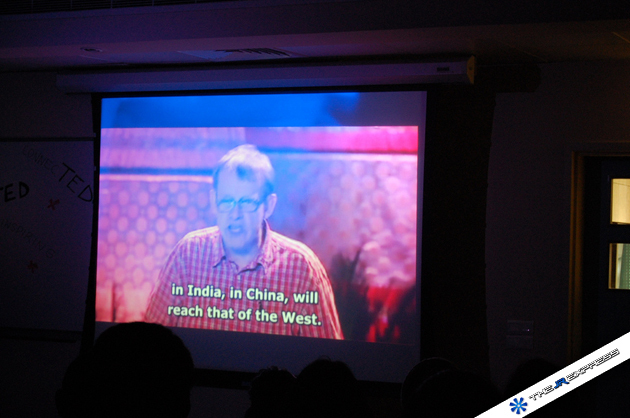 So i invited few friends over to our house, we watched the TED talk together and opened a discussion after it. Then, we agreed to do this every Thursday, and we called it TEDxSKE salon (for Spreading Knowledge & Entertainment). And we held this TEDxSKE salon for almost 3 years, every Thursday, non-stop, in our house. We started with 6 friends, and we ended up with 25 attendees, from different walks of life, gathering every Thursday at our place, watching 3 to 4 TED talks per session, and having an open debate after the talks. We noticed that there is something really powerful happening around and after these sessions, people were inspired to do something, to change something, to learn something new, and to open their minds to different perspectives. This is when the idea of taking this out of home, to something bigger started to form. 3- What are the actual and future activities of TEDxBeirut ? 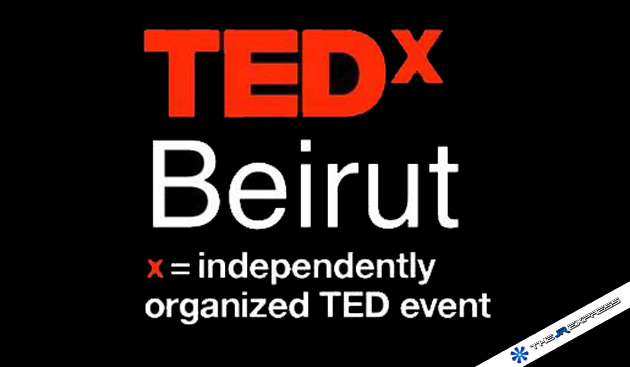 There are lots of things happening simultaneously, we are now recruiting speakers for TEDxBeirut. Speakers are what make or break the event. We are looking for inspiring stories and inspiring people. Once the speakers are recruited, we work extensively together to get the best out of their TED talk. We work on the idea together, and on the presentation skills and techniques, the biggest TED commandment regarding speakers is: PRACTICE, PRACTICE, PRACTICE. And we want to make sure that all our speakers commit to this, and deliver the talk of their lives in TEDxBeirut. We are also in the process of getting sponsors to cover TEDxBeirut’s expenses. And this is one of the challenging tasks, because we don’t only need cash sponsors, which we do obviously :), but we are also looking for companies to have a creative and inspiring presence in our social spaces. The social spaces are spaces outside the main theater, where people will be spending the breaks, and where they can also watch the TED talks happening on the stage in a more relaxed and chilled atmosphere (imagine bean bags, relaxing chairs…). And we want to maximize the quality of our attendees’ experience, this is why we want to create creative spaces where companies would interact with the audience in a very creative way. And this is what we are working hard on. We are also preparing our third and last TEDxBeirutSalon that will take place on Thursday 25th of August, at Monroe Hotel at 9h00 p.m. Through TEDxBeirut salons, we inspire to bring TEDsters together once a month until the main TEDxBeirut event in September. 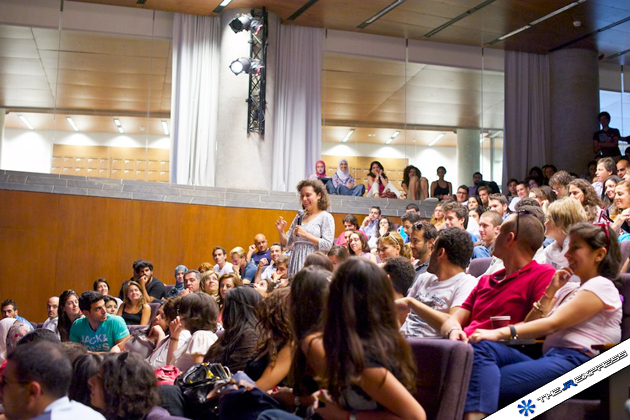 160 TEDsters made the first event a full-house and a great success at LAU, 250 made it to the second salon at AUB! And we’re expecting nothing less for the third and last salon before the main TEDxBeirut event. These salons did a great job of building and expanding the TED community in Lebanon, and created an increased awareness of what TED and TEDx are, and what a TED talk is, since we usually watch 3 to 4 TED talks per salon, and we open up the floor for a small discussion afterward. 4- What objectives are you willing to meet through TEDxBeirut ? TEDxBeirut’s main mission: We want to bring visionaries, innovators, problem solvers, doers, funders, connectors, and their community into one space. We want to expose them to brilliant ideas. With all of these people gathered in one space, it’s inevitable that sparks will happen, ideas will find momentum, and positive change will take birth. 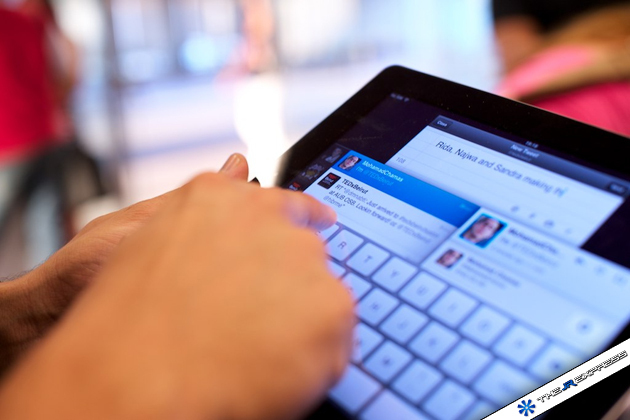 A seed that can push boundaries, and reinvent our local society. This is our dream for TEDxBeirut. 5- What are the most important problems you face ? The most challenging part in preparing for such an event, is that it is all based on volunteerism. We all do this, along with our regular day jobs, our universities… It’s really hard to keep the commitment going for many months, and to keep the momentum going for such a long time. But we are trying our best, and there is an amazing team of around 15 people working on this, very seriously, and allocating a big chunk of their time to make TEDxBeirut a success! 6- On what basis do you choose the speakers at your events ? * The “potential” of the presentation: Innovative, interactive, unique, etc… Or just a very solid classic TED talk. We are mainly looking for ideas to put on the TEDxBeirut stage, rather than speakers. And that’s a challenge in itself. 7- What are the financial needs of TEDx and how do you get them ? As i previously said, TEDxBeirut requires a certain budget, like any other TEDx event, and we are reaching out to a select group of companies that are committed to the power of ideas to support our TEDx event. We need our partners to add to the unique atmosphere, and we need them to add value to our attendee’s experience. We are hoping to do this, with the companies we are approaching now. Lots of activities are going on at TEDxBeirut’s main event, and we are looking for partnerships to have a useful participation in all of these activities.